David Crane joins Emily Kirsch for a live episode of Watt It Takes. 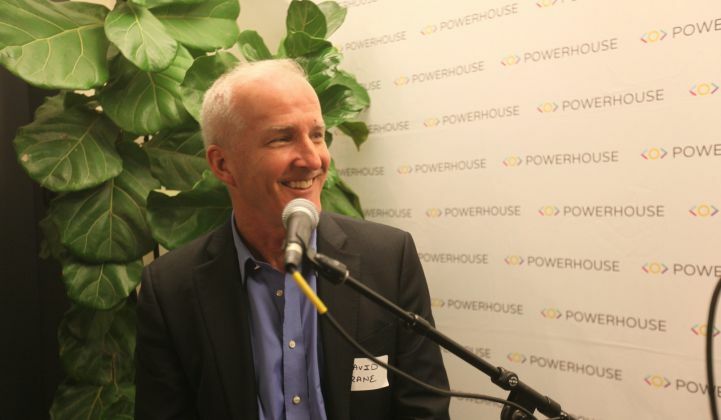 This week on Watt It Takes: How David Crane worked his way up in the power business to become CEO of NRG Energy — only to get tossed out of the job for his bold stance on climate. In this episode, Powerhouse CEO Emily Kirsch talks with Crane about taking risks in the conservative power industry. We’re going to hear from Crane about his early career, why being a CEO is so lonely, how his open exit letter to NRG employees went viral, and the best investment he ever made. Subscribe to GTM podcasts via Apple Podcasts, Google Play, Stitcher or wherever you find your audio content.